Are you searching for a hardworking truck to rely on for just about any job, no matter how tough? The Chevrolet Silverado 1500 is back for 2017 with amazing horsepower and towing capacity. This truck's roll-formed steel pickup box floor is lighter, stronger, and more durable than stamped steel beds. With all of these advantages, it's no wonder the 2017 Silverado 1500 is the most dependable and longest-lasting full-size pickup truck on the road. 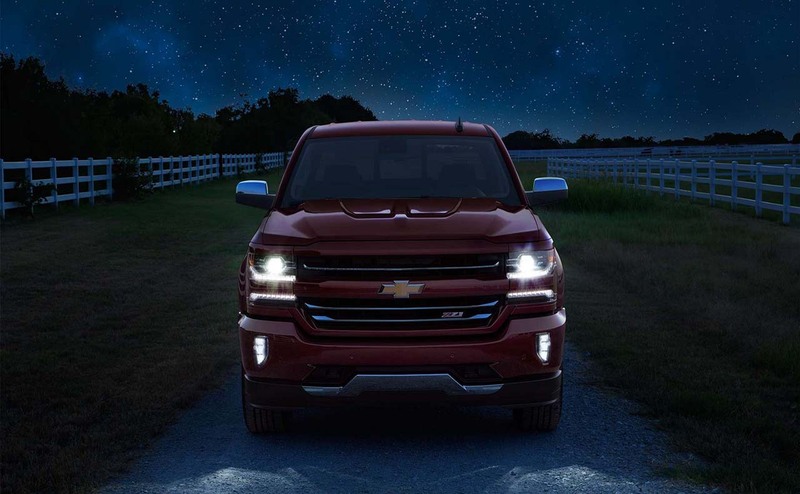 You can find the new Silverado 1500 at All Star Chevrolet in Baton Rouge. Browse our inventory of the 2017 Chevy Silverado 1500 on our website, or visit us to take a test drive. If you are looking for a truck that works as hard as you do, the 2017 Chevy Silverado 1500 is it! 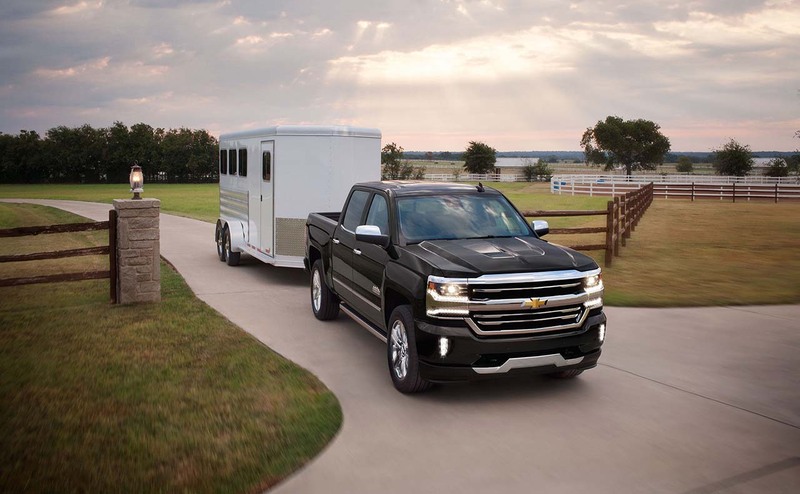 The 2017 Silverado 1500 comes in several trim levels, so you can select the model that best meets your needs. 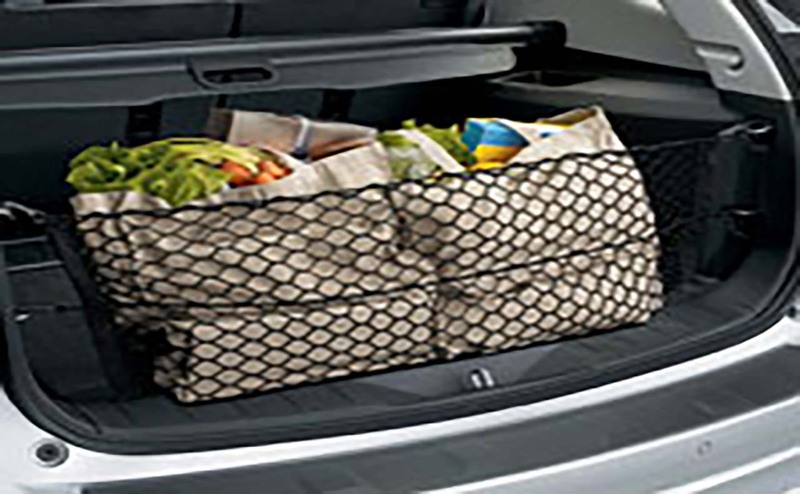 Each model offers a package of features you will love! 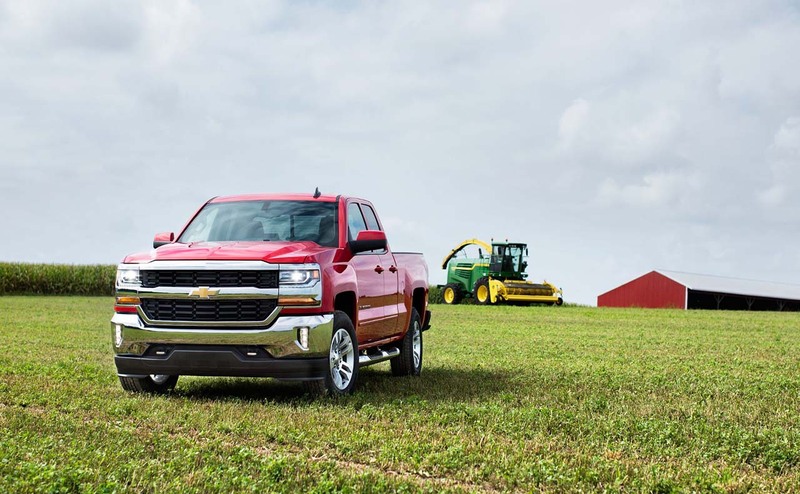 The Silverado 1500 with the regular cab offers four trim levels, from the base model WT to the more feature-rich LT Z71. 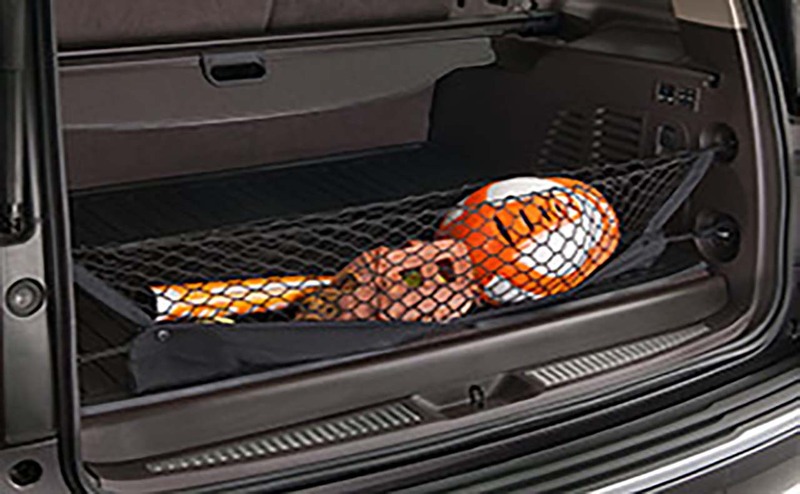 The WT comes with sought-after features, including a powerful 4.3-liter EcoTec3 V6 engine, 4-wheel anti-lock disc brakes, power door locks, cruise control, multiple airbags, and many other perks. The LT Z71 trim comes with even more features, including remote keyless entry, Bluetooth® hands-free calling, a rear view camera, and more. 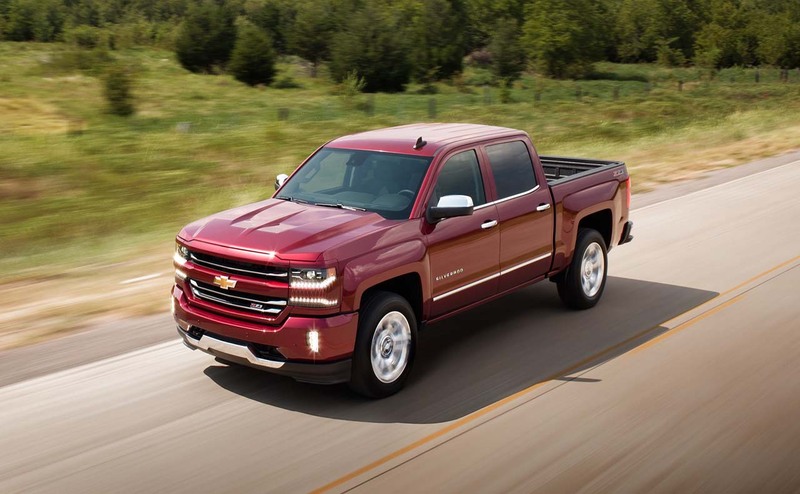 If you opt for the Silverado 1500 Double Cab, there are more models available, including the base model WT, the LS, Custom, LT, LT Z71, LTZ, and LTZ Z71. 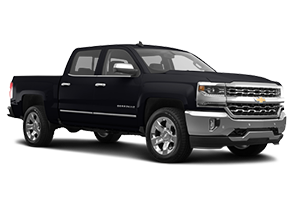 The Silverado 1500 Crew Cab also offers more models, including the WT, LS, LT, LT Z71, LTZ, LTZ Z71, and the High Country. 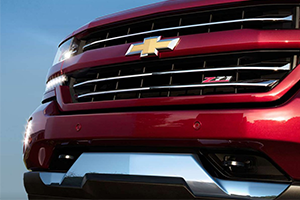 To find out more about all of the features and trim levels for the 2017 Silverado 1500, give us a call today! The 2017 Silverado 1500 with the regular cab comes with a 4.3-liter EcoTec V6 engine as standard equipment. But there are more options available, depending on which Silverado 1500 model you decide to buy. The 4.3-liter V6 engine gives you 285 horsepower and 305 pound-feet of torque. 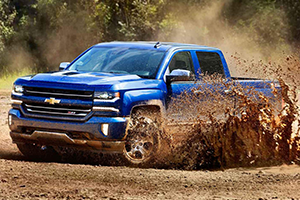 Opting for the Silverado 1500 Double Cab or Crew Cab gets you the standard 5.3-liter EcoTec3 V8 engine. This motor puts out 355 horsepower and 383 pound-feet of torque. For some models, you can choose the available 6.2-liter EcoTec3 V8 engine for a whopping 420 horsepower and 460 pound-feet of torque. There are also several available packages, including the Max Trailering Package which gives you the ability to tow up to 12,500 pounds or haul a load of up to 2,250 pounds in the truck bed. The 2017 Chevy Silverado 1500 is brawny, but it's also got brains! 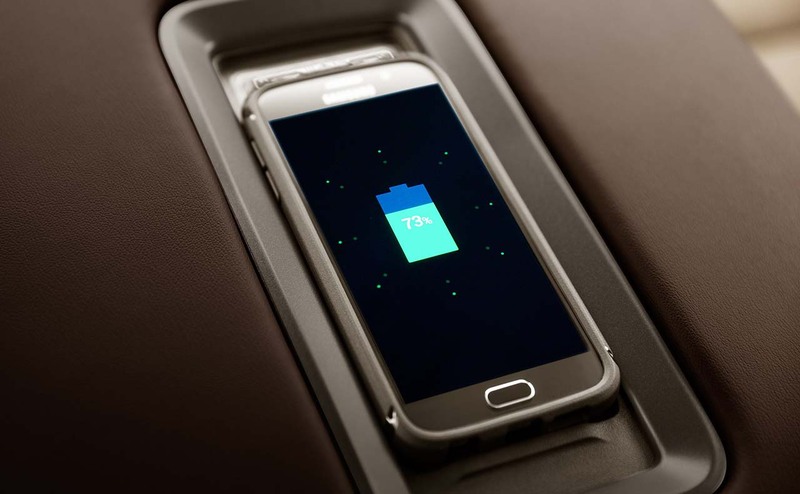 Just step inside the truck's interior to be greeted by a host of impressive tech features. Optional Chevrolet MyLink gives you a 7 or 8-inch touch-screen display, depending on which model you buy. With MyLink, you can do things like make calls, stream your music, get directions, access your playlists, all hands-free! 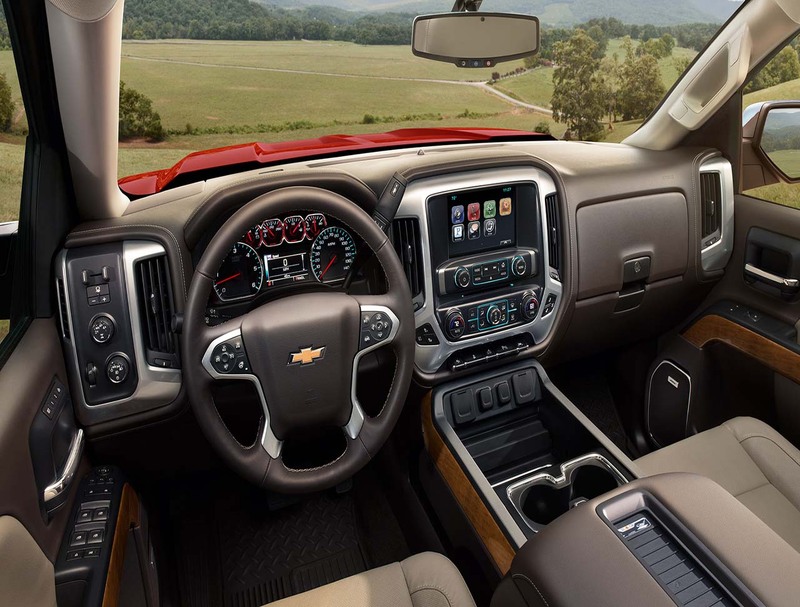 The new Silverado 1500 also offers optional wireless charging and 4G LTE Wi-Fi you can use to connect up to 7 devices! 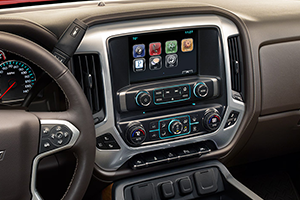 And Silverado is the first full-size pickup truck to offer these advanced features! 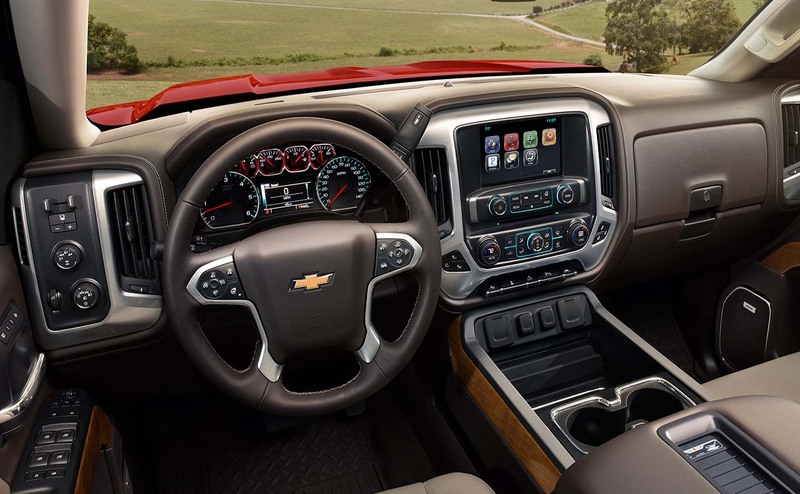 You will also find USB ports and a 110-volt power outlet inside the Silverado 1500. Get more information about the 2017 Silverado 1500's tech features when you contact one of our sales professionals! 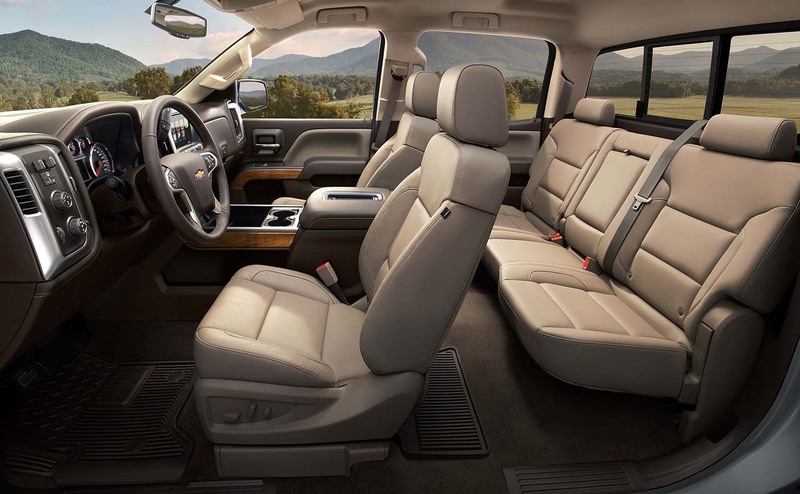 Inside the 2017 Silverado 1500, you will experience a quiet, comfortable cabin. 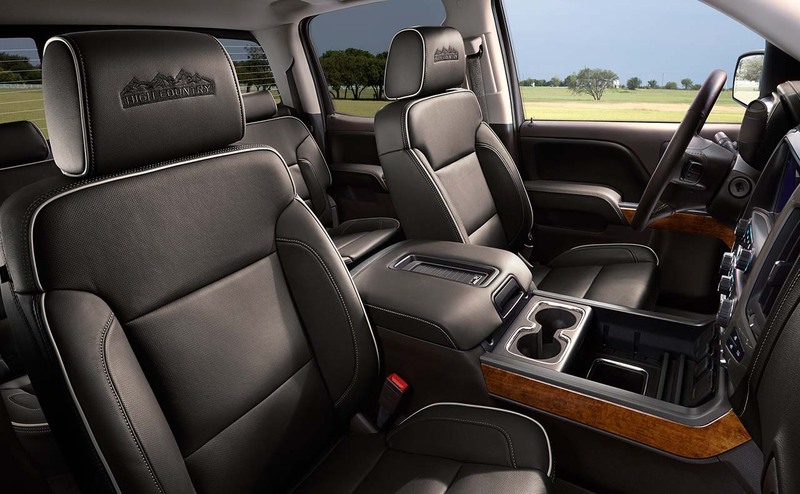 The pickup truck's triple-seal inlaid doors, its tuned exhaust, and the aerodynamic windshield help keep things quiet inside. 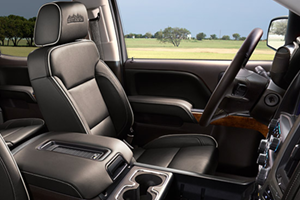 There are dual-resilient foam seats to keep you and your passengers in comfort, even on long trips. Controls on the steering wheel let you easily make calls, enable optional safety features, set cruise control, and control the available MyLink display. 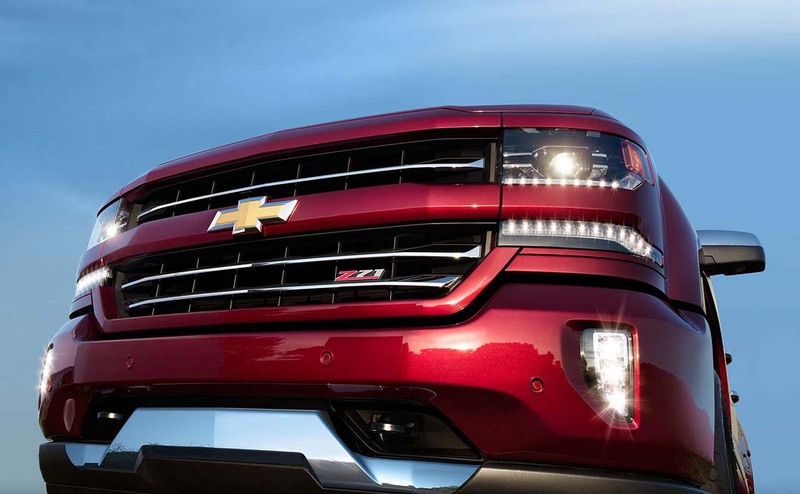 When you buy the Chevrolet Silverado 1500, you can expect some significant advantages. 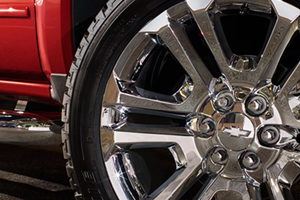 One of the best perks is Chevrolet's rock-solid warranty coverage. 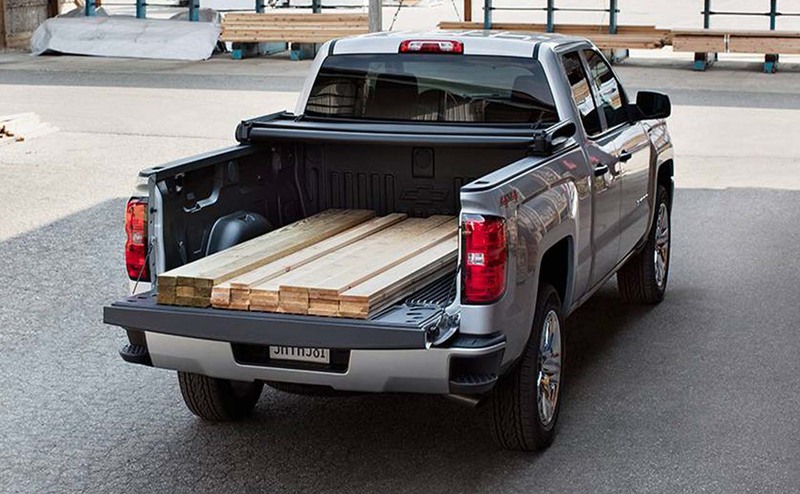 Everyone who purchases a Silverado 1500 gets Chevrolet's bumper-to-bumper warranty protection for three years or 36,000 miles, whichever comes first. Chevrolet also gives you five years or 60,000 miles of warranty protection for your Silverado 1500's powertrain components. 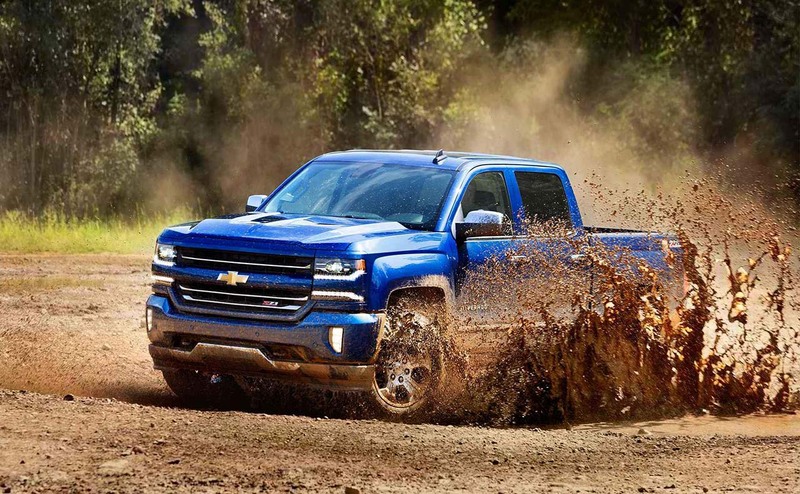 The automaker covers your new Silverado 1500 pickup truck for corrosion damage for a full 36 months or 36,000 miles, whichever occurs first. Contact us to get all the details about standard and extended warranty plans for the 2017 Chevy Silverado 1500. We invite you to visit All Star Chevrolet to get behind the wheel of the 2017 Chevrolet Silverado 1500 for a test drive. 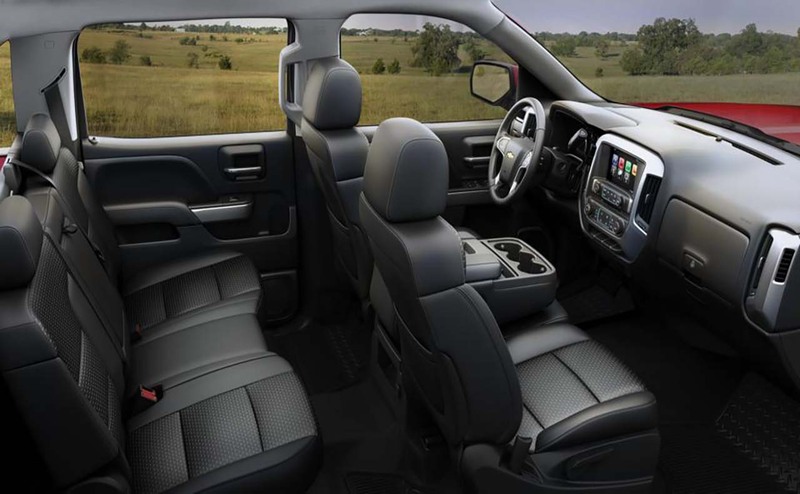 It's the best way to discover everything this powerful pickup truck has to offer! 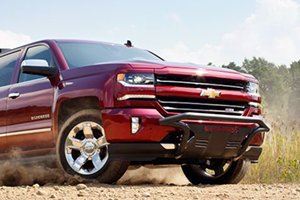 Experience the Silverado 1500's strong performance, excellent handling, and its interior comforts and features. Located at 11377 Airline Highway in Baton Rouge, All Star Chevrolet is about 11 miles from Denham Springs. Come to our Baton Rouge car dealership today to test drive the 2017 Chevrolet Silverado 1500!